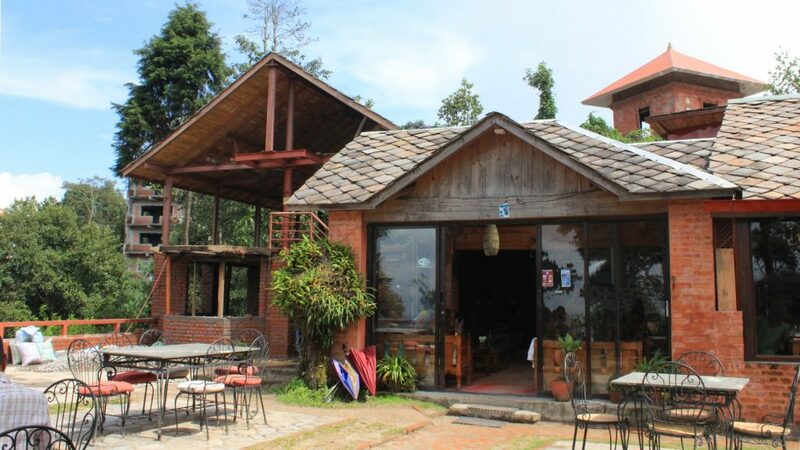 There is one place in Nepal that will always hold a special place in my heart: Hotel at the End of the Universe, Nagarkot. When I first came to Nepal in summer 2013, I spent over five weeks in the hotel working on a novel manuscript (that didn’t find a publisher) and just hanging out. During that time, the workers of Hotel at the End of the Universe became my friends, and the hotel my home away from home. 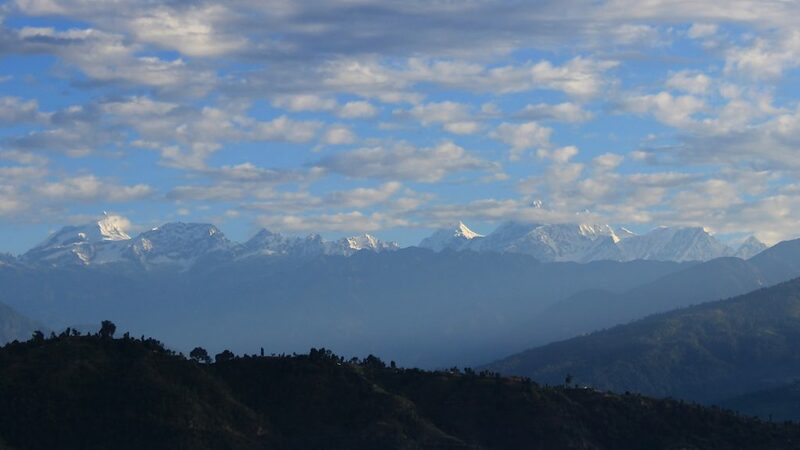 In January 2015, I made my second visit to Nepal during my winter holiday. This time, my friends from End of the Universe came to pick me up straight from the airport. 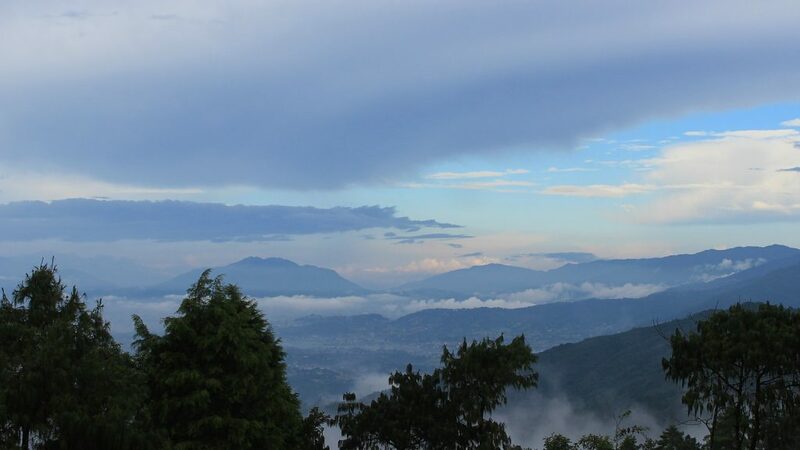 I spent a few days in another town, but I mostly stayed in Nagarkot. Now, it was time for my third stay in Hotel at the End of the Universe. Besides that, my friends also invited me to stay in their homes in the rural areas – something we had been talking about ever since my first visit. Hotel at the End of the Universe is a hotel only by name. Sure, tourists come to the hotel and pay for their stay, but hotel is not really the right word. Instead, it’s a relaxed set of cottages on a high hill that feels much more cosy than a big hotel. There are no televisions, so the evening entertainment consists of hanging out. Sometimes, the workers play traditional Nepalese songs with not-so-traditionally-Nepalese instruments like djembe drums and didgeridoos. 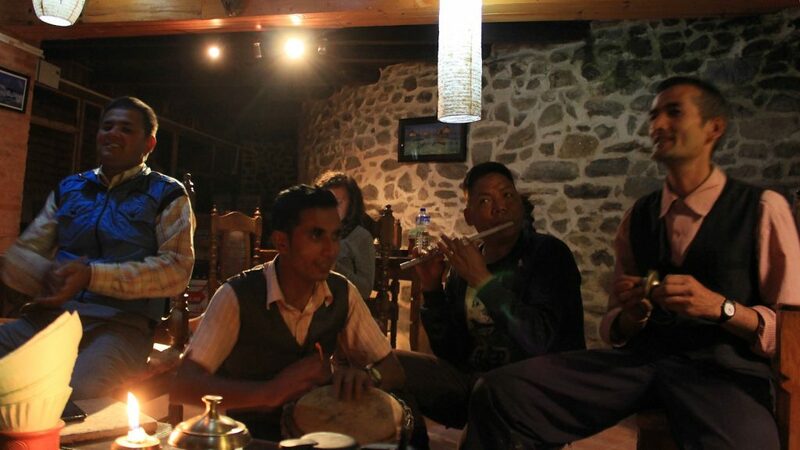 The hotel staff playing and singing Nepalese songs for the guests. The brand new restaurant area will later get new furniture. The Kathmandu valley at sunset. End of the Universe has experienced some changes. The main building of the hotel was destroyed in the devastating earthquake of April 2015, and the hotel was closed for some time after the disaster. Now, the hotel is slowly rising again. A new restaurant area was just opened two weeks before my arrival, and more overhauls are on the way. I talked to the owner of the hotel, Oasis, and he seemed to find a silver lining in the destruction. 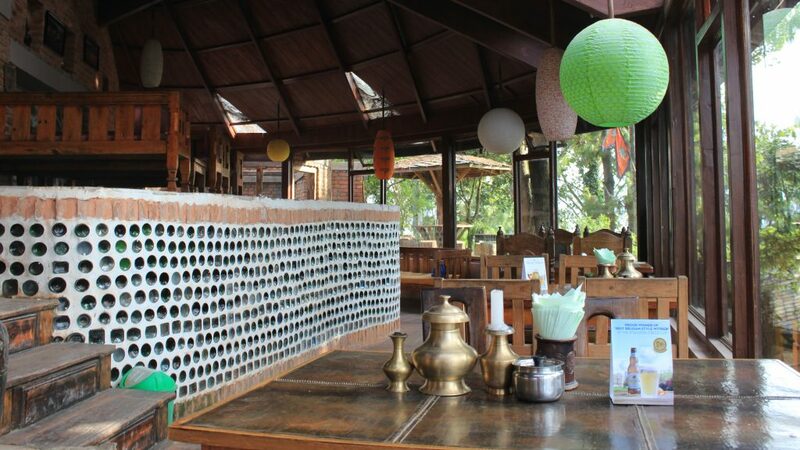 Now, he has plenty of new ideas for the hotel that he can put into action during the reconstruction phase. 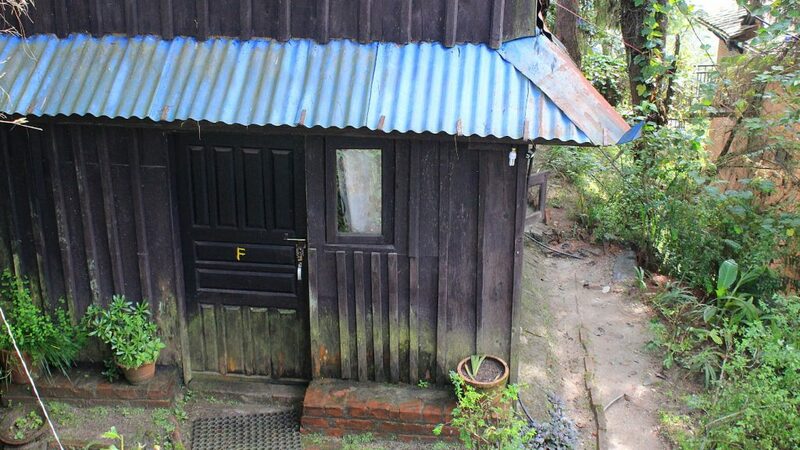 Personally, I was happy to see that “my cabin” survived the earthquake. And it didn’t only survive, but it came back better than ever, as the workers have finally installed a proper toilet seat and a WARM shower in the bathroom! And not only that, but the new main building was built a few meters closer to my room, which meant that the Wi-Fi could reach my place just a little bit better! Room F used to be the cheapest room in the hotel. 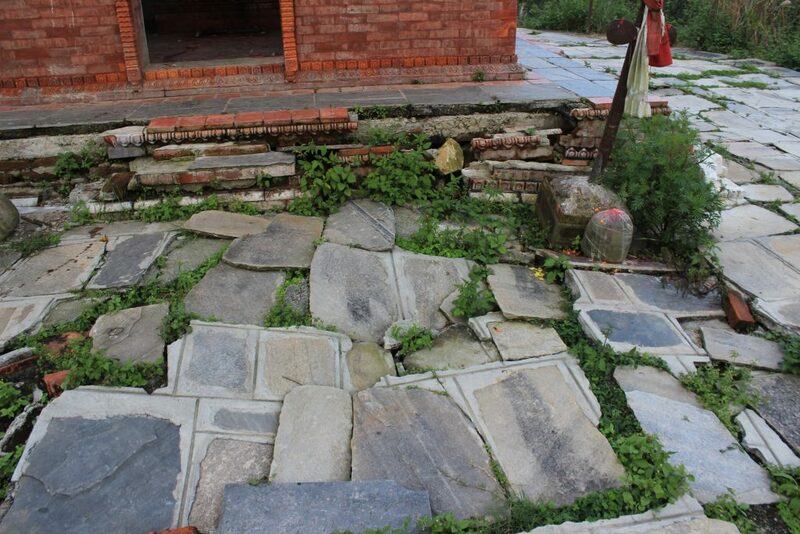 If you’ve ever wondered what an earthquake does to a stone pavement, here’s the answer. End of the Universe is my home. 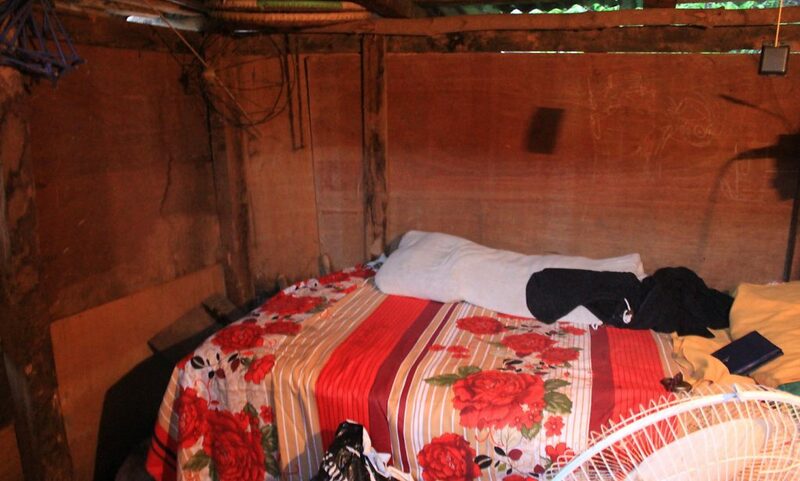 At the same time, I have to admit that it’s not the most comfortable accommodation out there. The prices are a bit expensive, the Wi-Fi is extremely slow and there are a few other annoyances. I had been carrying my juggling balls in my backpack for five months, and I finally started practicing every day in Nagarkot. However, that period lasted only a few days. 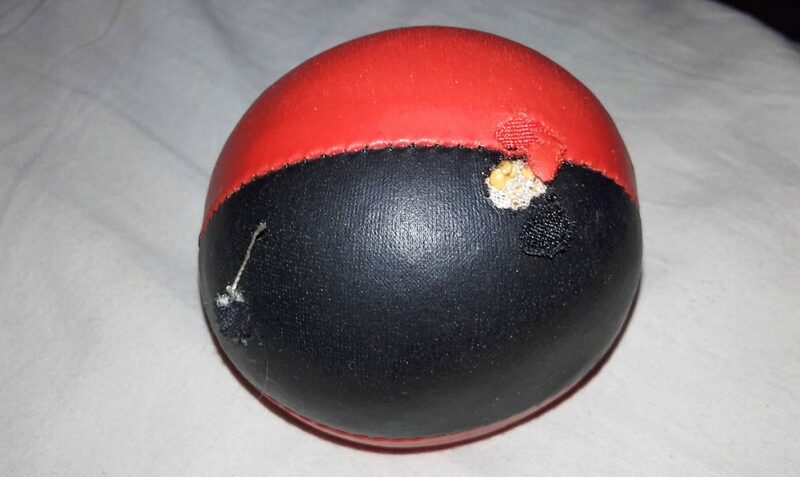 One morning, I woke up and noticed that a rat had entered my room at night and chewed holes on all my juggling balls. But still, I like the place. Most of my old friends are still working in the hotel, and it was nice to see that our connection was not lost during my absence. I enjoyed hanging out and Hotel at the End of the Universe still has the special vibe that it used to be. My friend’s home in a rural village. After a week at the hotel, it was time for my stay in the villages. 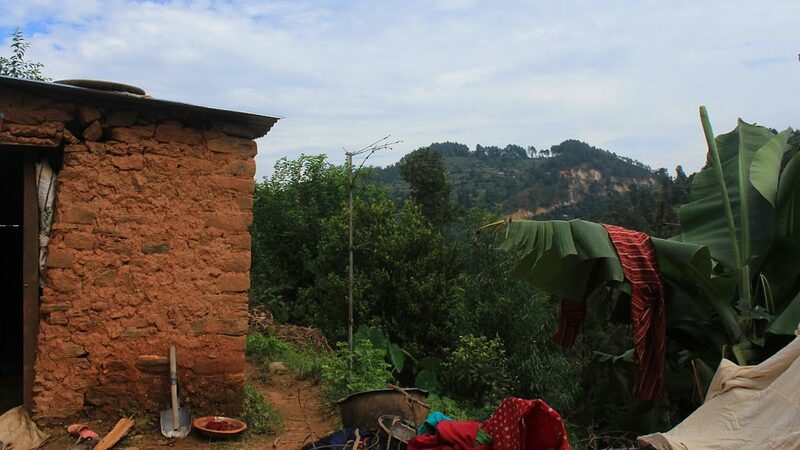 I hiked seven kilometers from Nagarkot to the village to one of my friends, Gokul. I left some of my heavier stuff at the hotel, to make the journeys on the small trails of the high terrain a bit easier. 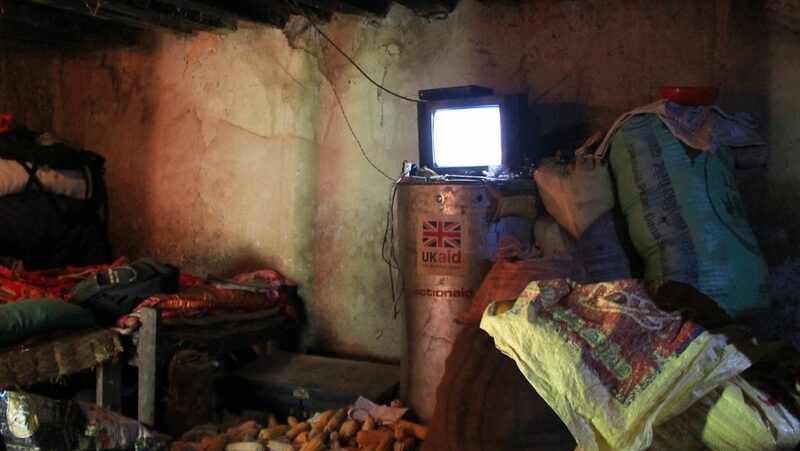 Before I started my stay, I was a little bit worried about the conditions in the rural areas. Sure, the locals are used to living there, but can my body handle the basic conditions and all the weird foods? Well, my stomach was put to test right away. The first lunch I had? Flat rice and goat blood. It was the time of Dashain, the biggest Hindu festival of Nepal, so goats were sacrificed and eaten almost on daily basis. This goat lived to see another day. 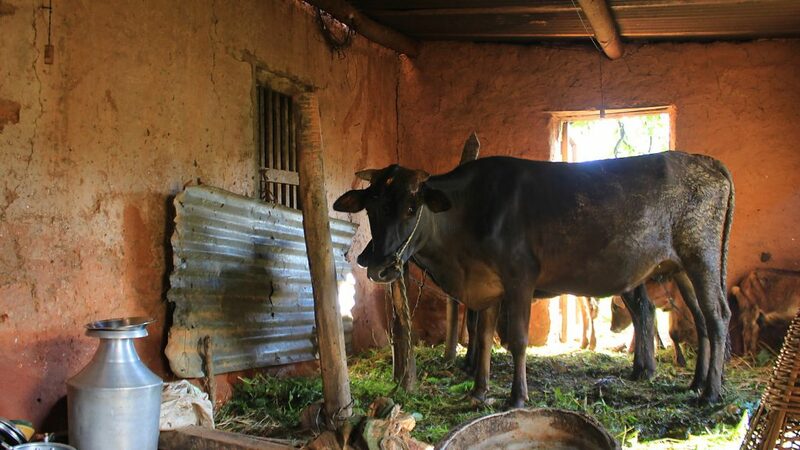 The stable was gone in the earthquake, so the cows and goats lived in the house now. 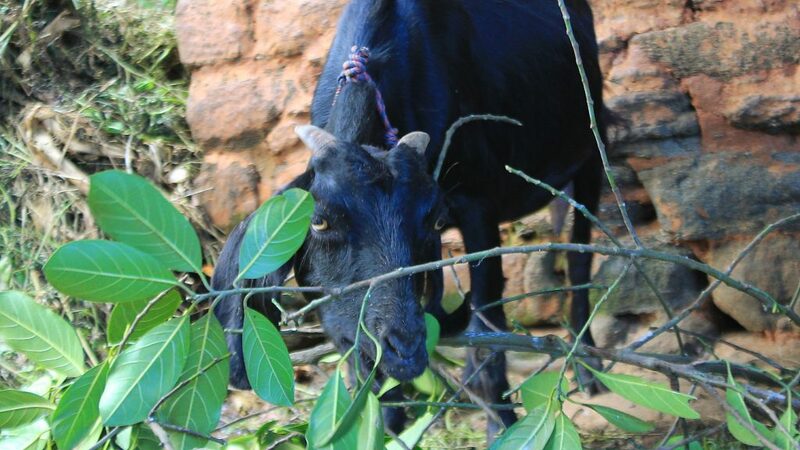 When Nepalese people prepare mutton (= goat meat), they don’t just savor the best bits and throw the other parts away. No, they cut the shaved goat pieces and eat most of it. Milk is also taken almost directly from the cow. This sort of connection between food and its origins feels almost completely lost in Finland and other Western countries, where animal meat comes from meat factories, packed in vacuum. I was a bit worried about the food at first, but luckily, I could handle it. The fried goat blood, fresh guava fruits and thick chunks of mutton didn’t mess my body, which was a very positive surprise. While I still don’t like to chew the hard skin of the goat, I definitely expanded my idea of what I can eat and survive. The main room of Gokul’s house. The floor was full of dry corncobs, as it was prepared for storage and selling. My friends are members of some of the higher Hindu castes, so they are a little bit better off than many other Nepalese people. 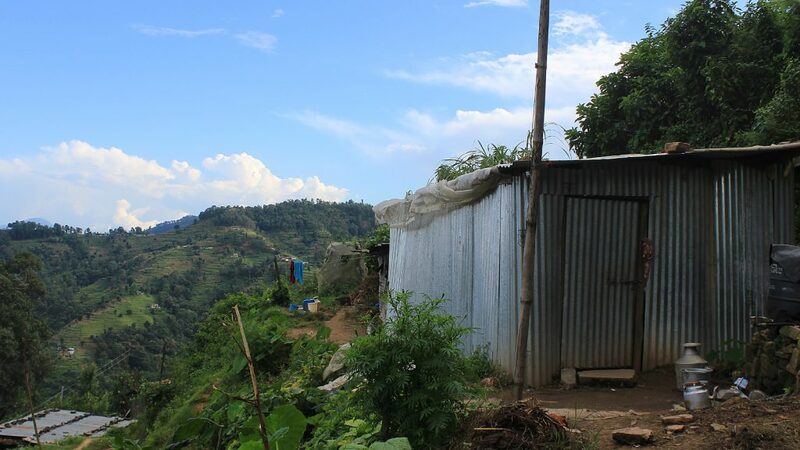 Still, the living conditions in the villages are quite basic, and their houses were destroyed or damaged in the earthquake. Buildings that used to have two or three floors now only had one, and my room in Gokul’s family was a small shack used as a warehouse. In other places, there were no extra rooms available for guests, but I was given my own bed in the main room. In Nepal, family is very important. If old parents are still alive, they usually live in the same house with their children and grandchildren. Nepalese people start families quite young, and all my friends from the hotel (who are a bit older than me) already have children. 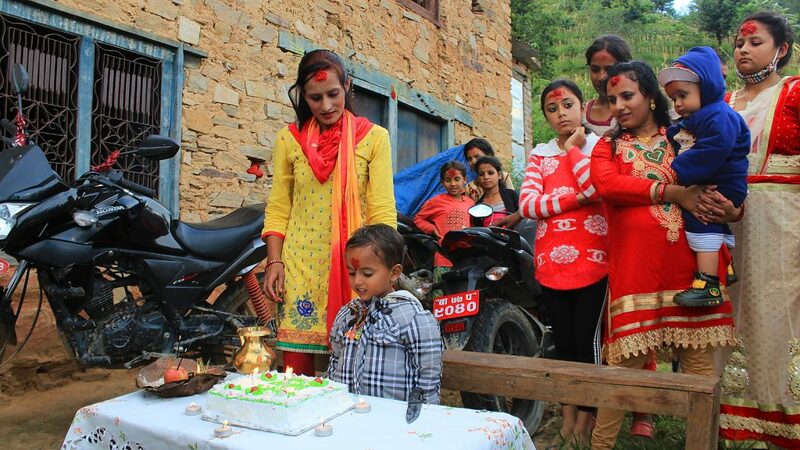 The Dashain festival also brings families back together, as those who work in other towns come home for the celebrations. It’s a bit like a giant Christmas family gathering in the West. My room. The bed was shorter than me, but I didn’t mind. 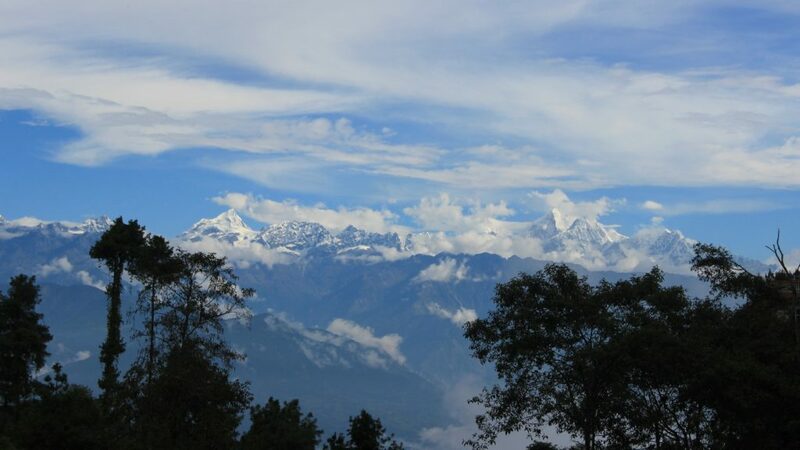 The villages offered great Himalayan views when the weather permitted. 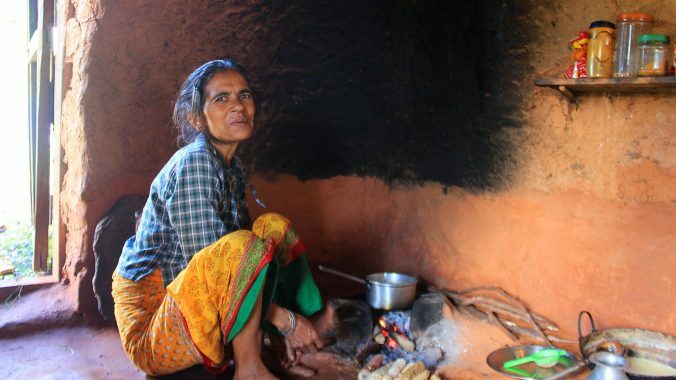 The earthquake happened almost two years ago, but Nepal is still far from recovering. Temporary residences have become more permanent, as building new houses takes a lot of time and money. Still, the people seem content. As my friend Nawaraj put it, they live in very small houses now, but they are all happy. The strong social networks keeps people going and content. When the earthquake happened, many old guests of Hotel at End of the Universe got together to gather donations for the workers and their families online. I was one of those guests, and it was moving to see how the money had helped. At one point, I visited a shelter that was built for one of my friends, his family and relatives. My friend Nawaraj had used his part of the donations to pay for the corrugated iron for the walls and roof of the building. My friend’s son blowing the candles from a birthday cake. First, I spent two nights with Gokul and his family. Then Razan, a former worker of Hotel at the End of the Universe, invited me to his place for one night. He had quit his job at End of the Universe to start a clothing store soon after my first visit, so it was delightful to see him after three years. For my fourth and last night, I moved to the house of my friend Nawaraj. Besides celebrating the festival, Nawaraj’s son also had his 5th birthday during my stay, and I got a chance to participate in the celebrations. From what I experienced, the life in Nepalese villages is very social. Relatives spend time in each other’s houses and kids play around. As the houses are small and they usually have just one or two rooms, there’s not much personal space available. 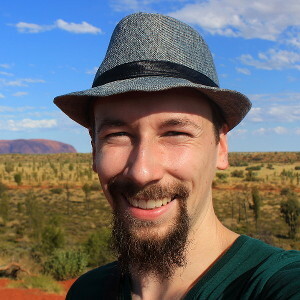 This was also a bit exhausting for me as a Finnish introvert. With so many people to meet – especially during the festival celebrations – I occasionally longed for more privacy and a few hours alone with a good book. A temporary building that my friend Nawaraj built after the earthquake for his family. I woke up very early each day, so I got to see the sunrise quite often. At the same time, I am extremely grateful for the warm welcome that I got. Even though very few people spoke English, the families were delighted by my basic Nepali. The local kids would follow me everywhere, and their playing was entertaining to watch. Occasionally, I’d juggle some guava fruits or fold paper frogs to amuse them, but most of the time, that wasn’t necessary. The children could amuse themselves very well. 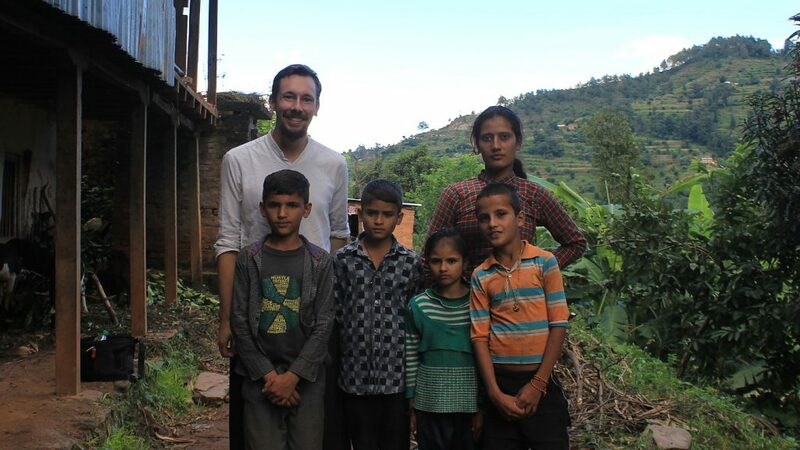 Staying in Nepalese villages was a very memorable experience – and a good way to end my two months in Nepal. 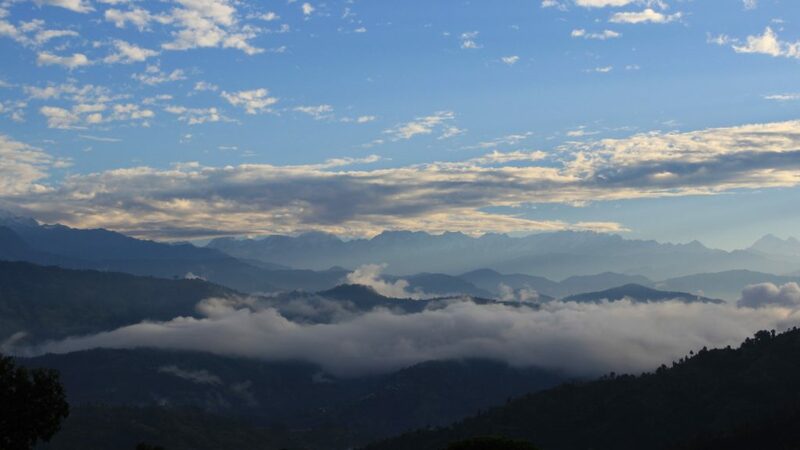 After four nights, I climbed the painful hike back to Nagarkot to get the rest of my stuff. I bid farewell to the Hotel at the End of the Universe and traveled to Patan for my last night in Nepal. My next stop would be Bangladesh.